LANCO is something new for me. I have never heard of them before this and I chose to review this album for that reason. I believe that it is always good to hear different artists and to not keep yourself in the same bubble of a music genre. I have always been a country music fan and have enjoyed any artist in the country realm. From the first song I listened to and going through the album, I fell in love. It breaks barriers of any country album I have ever heard before. I was so intrigued from the very start and have really enjoyed listening to this album. I love the rawness and creativity they put into each and every song that is made. Throughout the songs we hear, they are telling us a story, a story of love and life. You can hear the energy they have put into each song. It’s also really cool to hear how they incorporated each genre in each song as well. Genres like Rap, RnB, Pop and even Rock. It’s really neat to hear that, because not many artists take that risk. 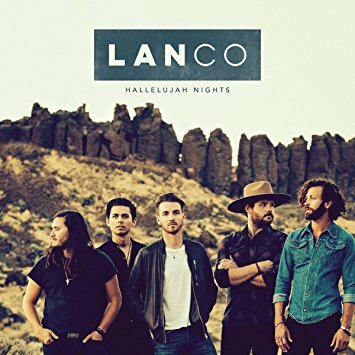 In Hallelujah Nights, LANCO’s Pick You Up was made into an RnB/Country type song. I really like how the beats and the words fit into each other. It’s definitely different from anything I have ever heard in country. Their voices blend really well together as well. The harmonies fit into the song and it is super, super catchy! Even the guitars fit so well together. The lead and the rhythm guitar have some super catchy lines that keep you singing to them all day long! To me, that is something really special. I love LANCO’s Dancy/Pop songs, TroubleMaker, Middle of the Night, and Born to Love You. These types of songs are the ones that will get you up and moving with your friends and family no doubt! They are just fun songs that when you listen, can’t be sad. It’s something that is bound to put you into a good mood! The thing I love most about this album as I said before, was the rawness and creativity in the music. Within the tracks, you can hear how they strategically tried to keep us entertained by constantly changing up each song with a new beat and sound, and to me, that’s true artistry. Within the album I didn’t find anything I disliked. I really enjoyed Hallelujah Nights and everything it had to offer to the listeners. 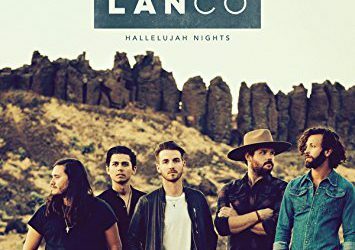 In my opinion, LANCO did an amazing job showing us that country can add fun elements to make the song fun and maybe even different to listen to. Overall, LANCO are incredibly creative and talented artists and I am so excited to see what they will produce in the future!